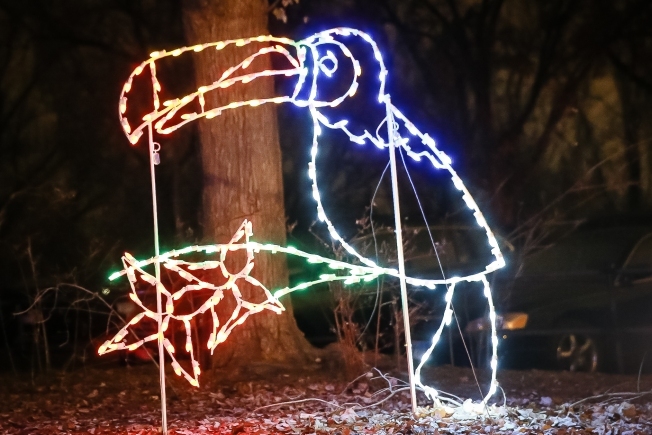 Why We Love The Display: The naturally bright color-scheme of the toucan is perfect to put you in the holiday spirit. Habitat: These birds can be found from southern Mexico, to Venezuela and Colombia. At the zoo: The toucans have made their home in the Amazonia Exhibit of the zoo, which is also home to hundreds of other species of plants and animals. Bet you didn’t know... The Keel-billed Toucan is the national bird of Belize.